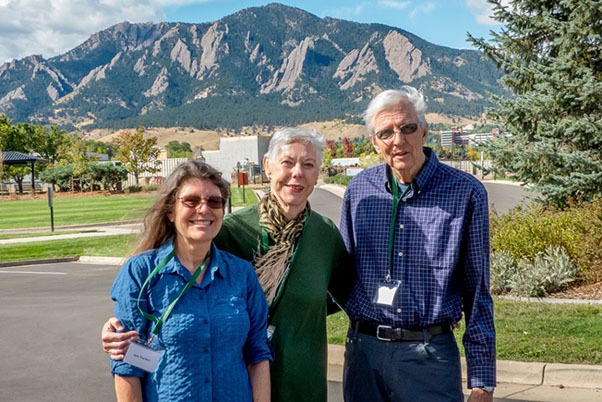 Elizabeth Cook, University Archivist, and Jerry Cook, Special Collections Coordinator, received an award at the Colorado Native Plant Society 40th annual conference on September 24, 2016. The award acknowledges the work of the Regis University Archives and Special Collections in preserving the historic print documents of the Society, as well as giving greater access to the records through digitization. The Library will have extended hours for mid-terms, beginning October 2nd. 7:00 a.m. – 2:00 a.m.
We have received messages about E-reserves showing a blank screen after a link is clicked. Try refreshing the page when a blank page is encountered. Please clear out your browser history or try another browser. If this does not work e-mail reserves@regis.edu or call 303-458-4030 for assistance. You are currently browsing the Regis University Library news blog archives for September, 2016.